1000 Baseball Cards, 7 Decades of Baseball History. The perfect way to start or add to your collection. 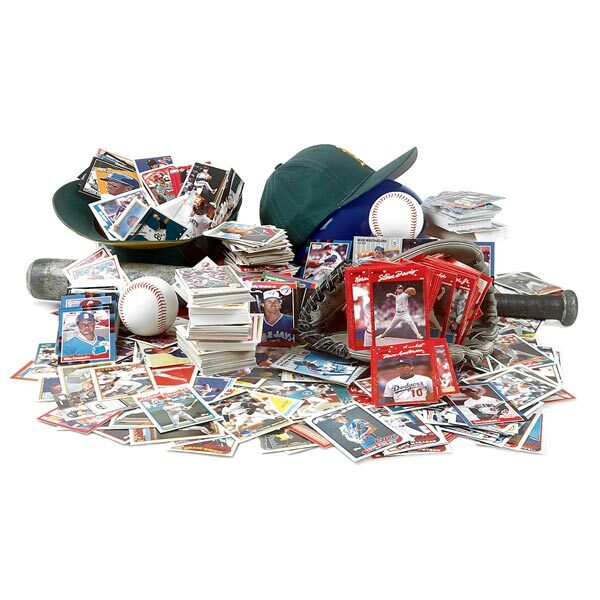 Baseball is America's Favorite Pastime - and so is collecting baseball cards! This exceptional set will be cherished by fans of all ages. It includes 1,000 major league cards from the 1950's to the 2010's. Your set is guaranteed to include Alex Rodriguez and Derek Jeter, plus more of the game's living legends and lat greats. You get quality cards from all of the major manufacturers - Bowman, Donruss, Fleer, Score, Topps and Upper Deck - all in new condition! Comes with a customized box to conveniently store the complete collection. Trading cards are more than a hobby; they're big business - and their value continues to climb. Allow 2-3 weeks, no rush delivery or gift box. Item can only be shipped within the Continental US.